A complete equestrian facility in Cedar Falls with training, boarding, lessons in dressage, Hunt Seat and Western pleasure, indoor and outdoor arenas, miles of trails, and a regular series of dressage schooling shows. Equestrian facility offering boarding, training and instruction in jumping and dressage, and horse shows. Dressage, indoor and jumping arenas. Located in Delton. Information on English equestrian activities in the Baton Rouge Louisiana area including Dressage, Hunter Jumper, Pony Club, Hunter Pace, and Cross Country events. Helene Asmis Clifford, daughter of Carl Asmis, of the USET-Asmis Dressage Scholarship. Classical dressage and training in lightness. Select Lusitano stallions from bullfighting bloodlines available for sale. International level dressage shows hosted by the Horse Park at Equestrian Estates in Florida. Information on classes and schedule of events, results, photos, and history of series. USDF, AHSA and FEI recognized. Hunt seat, English pleasure, dressage, driving, in hand, leadline lessons and training. Boarding and sales. Indoor arena, outside ring, dressage ring, jump course, 1/2 mile harness track, trails. Located in Oneonta. The nonprofit organization responsible for selecting, training, funding and equipping equestrian athletes that officially represent the United States in Olympic, Pan American and other international competitions in dressage, three-day eventing and show jumping. Information on Dressage Winnipeg, Manitoba Dressage show schedules and results, links to other dressage-related sites, and local news and events. Site dedicated to Dressage both classically and as applied to all riding styles. Newsletter available. Offering training and instruction for serious dressage horses and riders in Californias San Francisco Bay area. Dressage Training and Boarding Stable located in Marine, IL. Offers dressage and jumping prospects from Holland. Located in Auburn, Washington. A full-service equestrian facility that offers boarding, ranch time, pony parties, summer camp, plus a team of certified instructors teaching English and Western riding, Side-Saddle, Dressage, Carriage Driving and Vaulting for every level rider. Regular events include Horse Shows, Team Penning and Gaming events. Located in Schwenksville. Boarding, breeding, sales, and training in dressage, eventing, hunter/jumper and western. Offers lessons in dressage and jumping, clinics, training, and boarding. Orangeville, Ontario. Group to share photos. Dressage horses, dressage show photos, dressage moves, dressage horses at play. A natural environment with dressage, jumping, cross country, boarding, camping and events in Cle Elum. European dressage show results, interviews, articles on dressage and breeding. Specializes in the training and care of dressage performance horses. Details of facilities, clinics, schoolmasters available. Cedar Valley, Ontario. Equestrian sports network with streaming media covering racing, steeplechase, dressage, eventing, polo, and hunting. Interviews and special features. Trainers Ron and Julie Clark offer a blend of European and Classical dressage for horses and riders of all levels in Westerville, OH. Full featured, small dressage facility, located in Shortsville, New York. Boarding, lessons, on-site clinics and customized training programs for all levels of dressage. Specializes in equipping horse tack and apparel for dressage, cross country and show jumping. Contact information and list of brands sold. If the business hours of Strawberry Mountain Farm in may vary on holidays like Valentine’s Day, Washington’s Birthday, St. Patrick’s Day, Easter, Easter eve and Mother’s day. We display standard opening hours and price ranges in our profile site. We recommend to check out strawberrymountainfarm.com for further information. 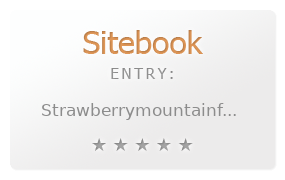 You can also search for Alternatives for strawberrymountainfarm.com on our Review Site Sitebook.org All trademarks are the property of their respective owners. If we should delete this entry, please send us a short E-Mail.